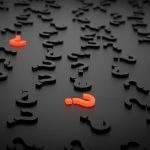 A very common question clients ask their estate planning attorneys is whether every estate needs to be probated. 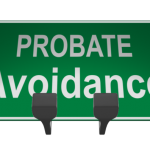 True, the main goal for many clients and their estate plans is to avoid probate at all costs. Considering the time and expense of probate, a court-supervised proceeding, it is understandable that many clients have that goal. Generally speaking, most estates need to go through probate, regardless of the nature or amount of assets. However, there are steps you can take to get around that. 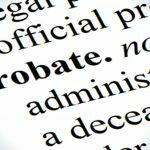 How to Avoid Probate Entirely? Actually, there are several different estate planning options that can allow your estate to avoid probate entirely. In fact, avoiding probate can be relatively easy if you know which method to use and how to use it properly. 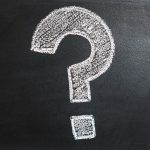 This article will describe four common probate avoidance methods that can be used as part of your estate planning: revocable living trusts, joint ownership of property, pay-on-death accounts, and gifts. 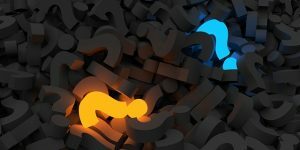 If avoiding probate while still ensuring that your estate will be distributed to your heirs, is your estate planning goal, then one of these options may be appropriate for you. One strategy that you can use while you are still alive is transferring property to your heirs or beneficiaries as gifts. You can use this method for any type of property. Essentially, you no longer own the property at the time of your death so that property does not need to go through probate. With this method, you can reduce your estate substantially by gifting personal property and other assets before your death. But watch out for taxes. Ask your probate attorney about the tax consequences of gifting if you have questions. Fraudulent transfer refers to giving away property in an effort to avoid claims by creditors or legal judgments. In order to avoid the appearance of fraudulent transfers, it is important to think ahead. Asset protection needs to be done before creditor’s claims and legal judgments exist. Timing is everything. The most important thing to remember, though, is that your intention in transferring the property may not matter. So even if you never intended to avoid a debt or judgment, you can still be accused of fraud. Another method for avoiding probate is to convert bank accounts and retirement accounts into pay-on-death accounts, which is a relatively simple process. Typically, it is as simple as completing a form that names a beneficiary for those particular accounts. Like joint ownership, when you pass away your beneficiary will automatically own the property without having to go through probate. The same can be done for certain securities. In some states, it is also possible to create a special deed that allows you to transfer real property to the beneficiary named in the deed. Trusts allow estate assets to be transferred to heirs, much like a last will and testament. But trusts bring with them many advantages that using a last will and testament does not. For instance, trusts can be created to hold property and remove that property from your estate upon your death. This can be a benefit for purposes of the federal estate tax. The trustee of the trust owns the trust property once the trust has been funded. That means the trustee can follow the instructions you provide without the need for court instruction. Trusts, like wills, still allow you to choose precisely how your property needs to be distributed after your death. At that point, your trustee can quickly and simply transfer the property from the trust to the selected beneficiaries. 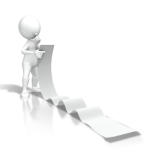 There is no need for the lengthy probate process. Another strategy for avoiding probate is joint ownership. The benefit of joint ownership is that when the initial owner dies, the survivor will automatically retain ownership of the property without any additional actions being required. That also means there is no need for that property to go through probate. There are many different types of joint ownership arrangements that are available, but joint tenancy with right of survivorship is the arrangement that allows for automatic ownership. But research the disadvantages of joint ownership in your situation before taking this route. Join us for a free seminar today! 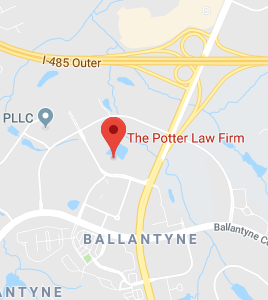 If you have questions regarding methods for avoiding probate or any other estate planning matters, please contact the experienced attorneys at The Potter Law Firm for a consultation. You can contact us either online or by calling us at (704) 944-3245 (Charlotte, NC, or Huntersville, NC) or for individuals in Kentucky at (606) 324-5516 (Ashland, KY) or at (859) 372-6655 (Florence, KY).